Just when the weather was getting nice enough to out and play a few rounds we get snow and ice here in Texas. ggrrr... . My shoulder is still sore but has felt healed enough to go out and play a bit. 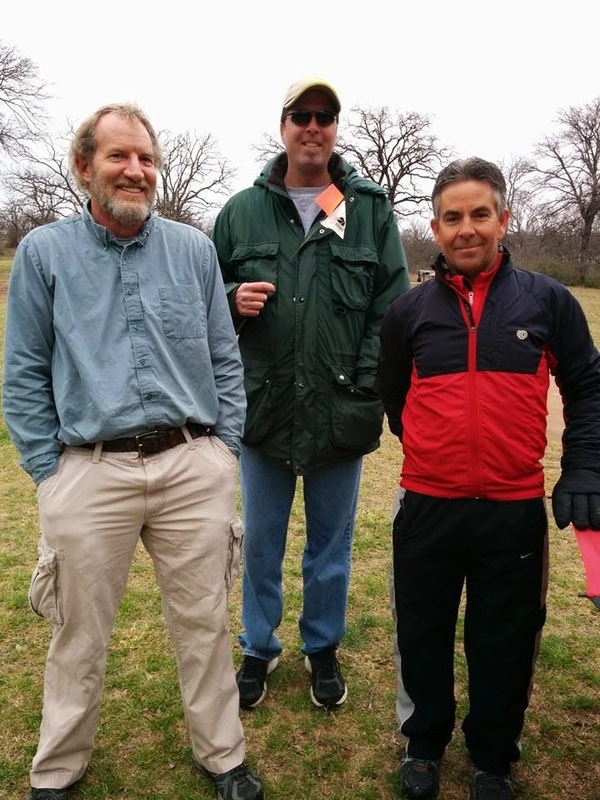 I had a chance to meetup with some other disc golfers from Reddit but only one dude showed up. I met Greg before at a bit more successful meetup with the now defunct DFW meetup group and he's a pretty cool guy and gave me a run for my money at Fritz park in Irving. I was able to crush a nice 35 foot putt on the last hole to win by 1 stroke. Received my Reddit bag tag ( #359) so I'm hoping for more local involvement from the active Redditors out there soon. Then got a call Saturday night to come help spot at veterans on Sunday and even though the weather was turning fugly we indeed had several people volunteer and show up. Even with my winter jacket and a cheap umbrella it rained most of the time and was pretty damn cold. I kinda had fun but was soaked, along with everyone else by the time the day was over. It was also worth it because I have a hook up with someone who is going to help me get my new bag quite a bit cheaper than retail. Now I just need the freezing weather to stop! That was before it started raining..we were smiling,hehe.